Forget the idea that a chest freezer will automatically take up a lot of space – many are now compact and streamline, designed for apartments and smaller rooms. Even if you live alone, a chest freezer can prove to be a worthwhile investment, allowing you to stock up at times when you have more cash than usual, or during hunting season, if you live rurally, and be certain of having enough meat to last you through. For urban dwellers, chest freezers are ideal for keeping a joint of meat, or a few TV dinners, ready for those unexpected guests or unplanned emergencies. If you're suddenly ill or injured, the last thing you want to be worrying about is how you're going to shop for meals. And, with a chest freezer, that is one worry that's off your list. By simply buying one extra meal each time you go out for groceries, and putting that extra meal in the freezer, you can have complete peace of mind should the unexpected ever happen. One of the handiest things for your chest freezer to have is basket shelving – this hangs at the top of your freezer, just below the level of a closed lid. The basket can accommodate things you use regularly, or things like fruit, which may be easily crushed under meat and other freezer commodities. As they do not have separate drawers, most chest freezers will include at least one basket. It is also worth noting where the drain is located – a front-mounted drain is preferable, as it makes defrosting your freezer far easier. Freezers, especially chest freezers, throw out a lot of excess chemical gas. It is therefore important that the freezer is located in an area where there is going to be a bit of free space around it. This means that the gas can evaporate safely. Also, obviously, ensure your freezer is located somewhere accessible, and do not store things on top of it. A freezer is meant to be easy access, and any significant damage to the body of the freezer can cause a risk of leakage, which can potentially be dangerous to humans and pets. 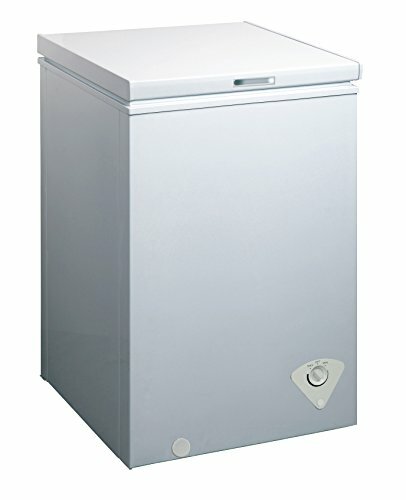 However, providing your chest freezer is in good condition, in kept in an otherwise clear space, it is perfectly safe. There is no risk from cosmetic damage, such as knocks to paintwork, etc. 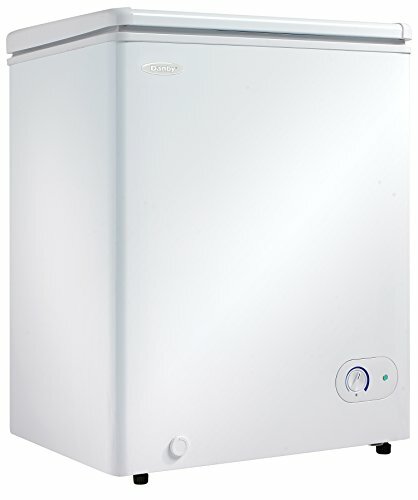 The Danby DCF038A1WDB1 offers energy efficient, environmentally sound refrigeration technology. It comes with a front mounted drain for easy defrosting, and includes an accessible basket, to keep small or easily damaged items safe. The basket is adjustable, to suit your needs and preferences. The Danby has a front-mounted thermostat, to easily set and control the internal temperature of the freezer. The Midea WHS-129C1 provides an easy-clean interior and basket, and is designed for apartments and small spaces. 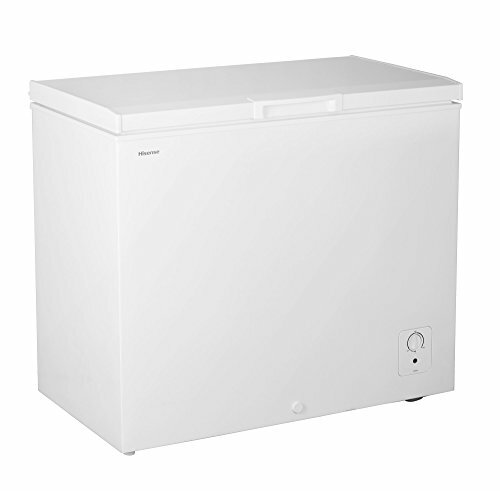 It has an adjustable thermostat, so you can easily set and control the freezer temperature. However, it has been observed the the integral components are quite cheap, and the seal, while fully functional, is of poorer quality than might be expected for the price. The Hisense FC72D7AWD comes mounted on castors for ease of movement. It includes a basket for small or fragile items, and is very low noise, making it the ideal choice if you have no option but to keep your freezer indoors, or if you are in a house-share situation, and looking for a freezer for your room. While the Hisense is in the higher-end price range, it is definitely an investment, particularly for those who do not have a porch or garage area to keep their freezer, and so need something with quiet operation. 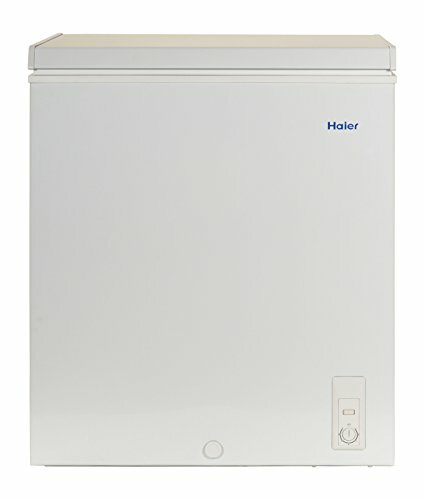 The Haier HF50CM23NW is a lightweight chest freezer in a space-saving design. It is easy to defrost, and comes with a basket, to prevent smaller or individual items from becoming lost. The basket also means you don't have to dig around for the items you use most often. 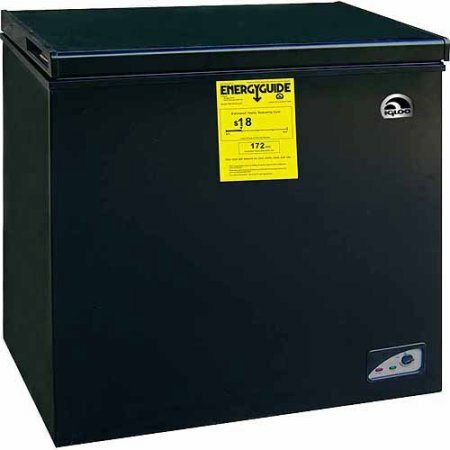 This chest freezer also features an adjustable thermostat, making it incredibly easy to use. Finally, the Igloo FRF454-B-Black comes in a sleek, stylish, ultramodern all black. It includes an adjustable thermostat, for easy temperature control, and an internal storage basket, to keep the freezer well organized, and ensure regularly used items are accessible. As all of the chest freezers we've reviewed include easy to operate, adjustable thermostats, you can literally just set your freezer up, load it, and leave it. Chest freezers typically function best if they are quite tightly packed, so feel free to add as much as you want, safe in the knowledge that, if the lid closes, the freezer can handle it. Chest freezers can be set up inside the house, in a garage, or on a porch – as long as you have a power supply, and a bit of space around the freezer, you're good to go. Pretty much anything. From joints of meat to soups, through stews and fresh-picked fruit, almost anything, liquid or solid, can be frozen, to be used at another time. This makes freezers, and especially the roomier chest freezers, an ideal investment for those who live a distance from the supermarket, or who simply don't like having to shop too often. Chest freezers are also ideal for those interested in pursuing self-sufficiency – pretty much anything you can hunt and gather can be frozen, meaning you can enjoy good-quality, sustainably-sourced food year round. And, if you live in an urban area, and are happy to shop, a freezer is ideal for minimizing food waste, as leftovers can be packaged up and frozen, ready to become another meal. Chest freezers are also particularly useful for holiday periods, as you can stock up in advance of your guests arriving, meaning less strain on frazzled nerves! 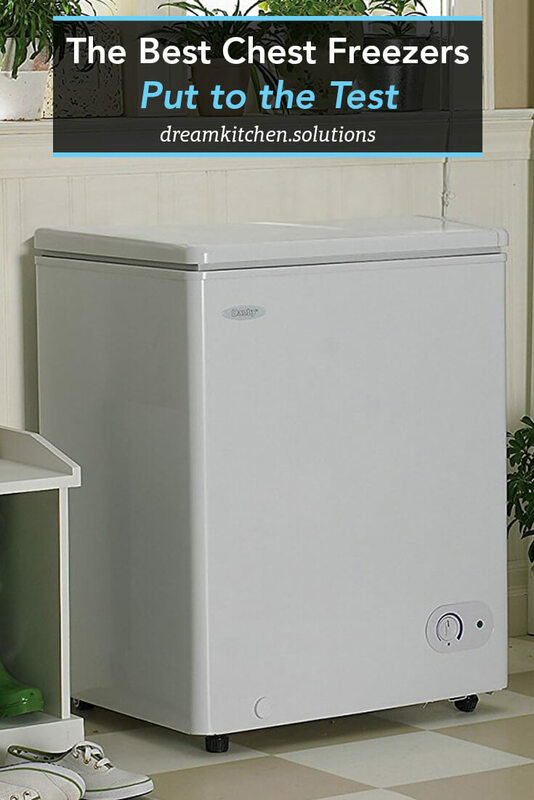 Whatever your needs or situation, a chest freezer will almost always turn out to be a welcome addition. Once you have one, you'll wonder how you ever managed without it!